As the creativity and knowledge of children grows, it’s important for them to have a place to engage, explore, and make new friends outside of the classroom. From art programs to martial arts classes, check out these 10 best after school programs in Wisconsin to see if it’s the right fit for your child! The After School Club was established in the mid-1980s as a non-profit, community based child care program from children ages 5-13, and offer three different programs: Breakfast Club, After School Club Care, and Summer Club. Children in the After School Club are given hearty snacks, games, creative projects, homework assistance, quiet time and engage in field trips. They also take children to the public library and the Oregon pool. Champions has over 25 years of experience in childcare and have partnered with principals, teachers and parents to create more than 470 before and after school programs. They serve over 20,000 children in 39 states, including the Pewaukee, Wisconsin. After school programs include welcome activities, snack time and outdoor time, home assistance, journaling activities, and more! At Kid’s Castle in Kenosha, Wisconsin, they focus on children as a whole, emphasizing social-emotional development, problem solving skills, creativity and early literacy, as well as fine motor skills, building scientific curiosity and math awareness skills. The curriculum itself focuses on learning to take turns, using manners and learning the skills they need to become self-sufficient and independent thinkers. At Black America, little ones are learning all about discipline and self-confidence with their after school program martial arts program. It’s a great way for kids to release their pent up energy! The B.E.S.T program, also known as Building Essential Skills Today, is the perfect alternative for kids who are considered ‘latchkey.’ The program is designed to help children build strong character and keeps them busy with fun martial arts activities and snacks! Another bonus: they’ll even pick your kids up from school! The University Avenue Discovery Center offers after school care for children ages 5-11 and offers a relaxing, inspiring space for all students. Children can choose to work on short or long term projects, get involved with a team sport, or spend time outside on the playground and listen to stories. Each snack is prepared with locally sourced, fresh ingredients and on Mondays, your child can learn the peaceful art of yoga! The Caring Center has been a part of the Verona community for over 45 years, and pride themselves on creating an open and nurturing environment that promotes individuality and encourages children to explore the world around them. Each week features a theme, from comic books, water, games, planes, trains and automobiles, and so much more! The atmosphere is warm and caring, and full of fun activities! 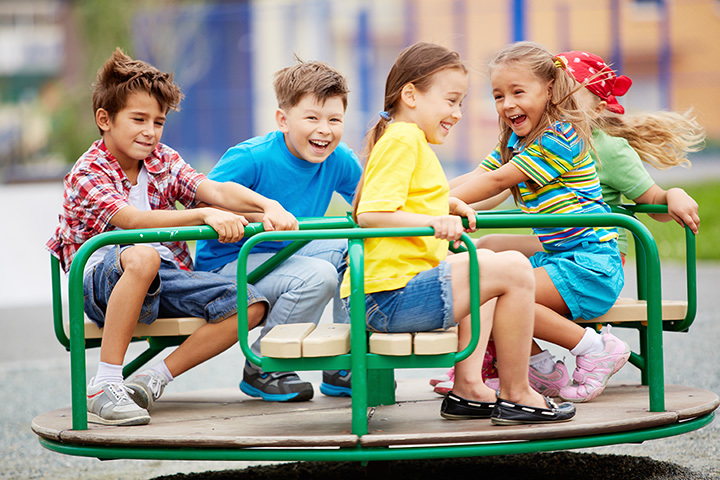 Milestones Programs for Children are the oldest and most respected childcare facility in Wisconsin, and serve children two months to 13 years of age. The program has been named among the top ten in the country, and it’s easy to see why. Each staff member works on connecting with your child and are warm, nurturing and extremely knowledgeable when it comes to child development. Each room has a variety of activities for every child, and it’s a space where children know that they are safe and welcome. Students experience a structured and supportive environment, learn team building skills and participate in self-reflection activities, and get to enjoy a hearty, healthy breakfast and snacks at the La Petite Academy in Stoughton, Wisconsin. Each of their after school programs are built specifically around the age of the child and their overall needs, whether it’s exercise to help curb that extra enthusiasm after school or focusing on problem solving skills and listening skills. Your local YMCA is always a great place to start with childcare, and the Heart of the Valley YMCA has a great after school program for kids up to 10 years of age. Their ‘Kids Corner’ features fun, interactive games and activities and allows them to run and jump and be kids! They’ll learn about new sports and how to be safe while playing, and there is always a new friend to be made! For a safe, fun, and enriching experience, opt to get your child involved at Kids Junction’s After School Adventure Club. This program has a goal of, “Partnering with families to build strong mind, body, and Christian character.” Parents will be pleased to know the program provides transportation from a variety of area schools and has access to a full gymnasium, rooftop soccer field, and much more. In addition to opportunity for staying active, children can participate in workshops with arts, crafts, interactive games, and more.